What could be better than having a whimsical wedding in the city that never sleeps!? Today we are sharing Naomi and Joe's elopement in the charming Central Park! Between the fiery romance that New York brings and the elegant details of the industrial backdrop at Central Park, together it's the perfect recipe for a fanciful elopement. From the gorgeous view that needs no decoration; to the fine texture of silk ribbons, organic calligraphy on handmade paper, and delicate florals and details for a gentle feel, Naomi and Jo were the perfect blends for this effortless look! CLICK PLAY BELOW TO WATCH THE ANNIVERSARY STORY! They came all the way from Maine to celebrate their special day with their loved ones and their son who is the light of their lives. 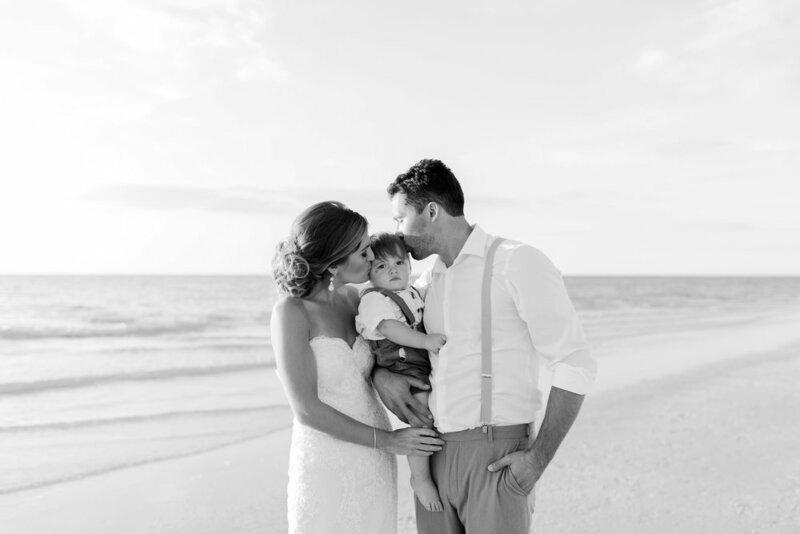 Erin looked absolutely beautiful in her Casablanca gown from the White Closet Bridal in Tampa. Donna Lucier with Beautiful & Blessed Beginnings created her romantic garden bouquet and officiated their union, bestowing a blessing on them both. Congratulations Erin and Jared, may this day be only the beginning of a lifetime of love and happiness as you begin your exciting journey as husband and wife! We had beautiful soft and golden light, we heard the soft melody of the ocean, everything was perfect for this romantic sunset wedding on the Gulf Coast of Florida!